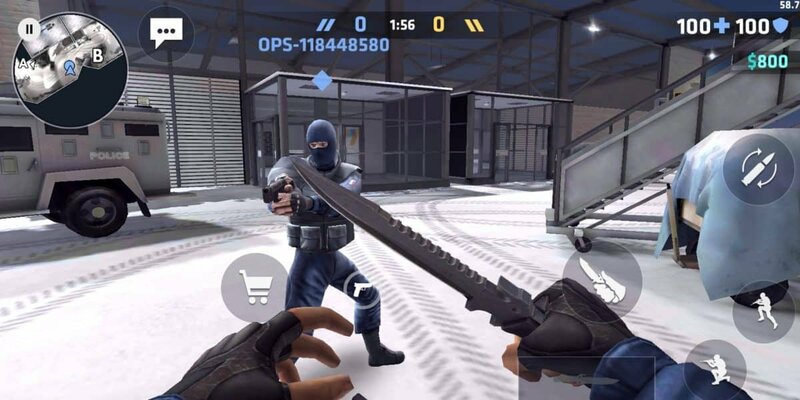 Critical Ops: is this the actual Counter Strike of Android? 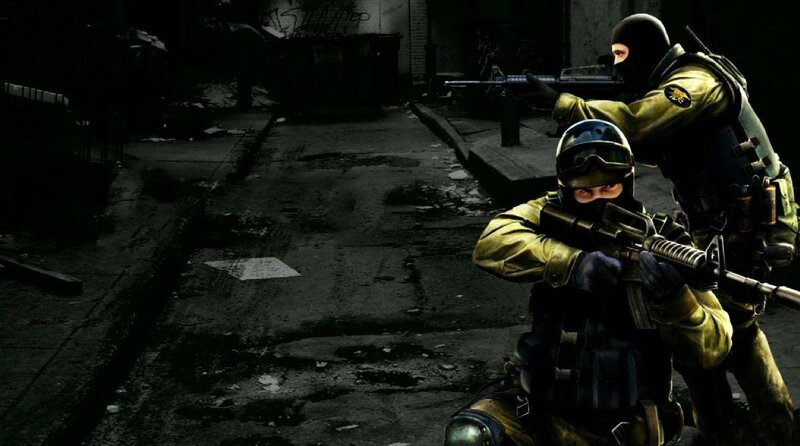 Counter-Strike is one of the biggest titles to ever come out for PC. Even after more than two decades of coming out, it just refuses to die. We’ve seen many Counter-Stike clones on Android, but most of them were kinda, well, bad. Critical Ops looks a bit more promising. Let’s check it out, shall we? 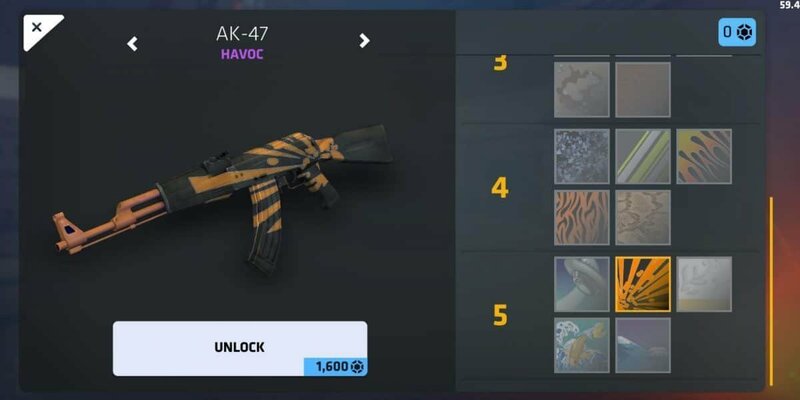 The main concept of Critical Ops is exactly the same as the one that Counter-Stike has. After all, people don’t call it a CS clone for nothing. And by the way, don’t even try to dispute it because they are not even trying to hide it. It’s a CS clone. Full stop. If you’ve never played CS before, the main goal is very simple. It’s a sort of fast-paced shooter with two teams: the terrorists and the counter-terrorists. The terrorists need to plan the bomb into a bombsite and the counter-terrorists need to stop them. If the bomb gets planted, then the counter-terrorists have 40 seconds to defuse it. But, here’s the thing, in every map, there are two bombsites, and the teams are made of 5 people. So, you can’t really split your team evenly and play it safely. That makes for some very interesting team tactics. At first glance, it sounds very simple – and it kinda is. However, Critical Ops is considered a competitive game. It’s easy to learn and very hard to master. The skill ceiling is rather high. The core gameplay mechanics of such games are nothing to laugh about. If you’re a newbie, then be prepared to get killed – a lot. With that being said, let’s take a look at the gameplay, shall we? We’ve actually mentioned Critical Ops as one of the best gun games that we’ve ever tried before. But, that was all. Just a mention. Now is our chance to take a deeper look into it. The gameplay is more or less the same with Counter-Strike. But, the actual experience is obviously lacking a lot because you’re using touch-screen controls and a smartphone which has relatively slow-response times compared to a gaming computer. When it comes to weapons, you’ve got a plethora of choices. From pistols and SMGs to shotguns, ARs, sniper rifles, etc. Other than that you’ve also got a few gear choices. Grenades, flashbangs, and smokes can make a huge difference. If you use them right, they can most certainly turn the tide of the match. In fact, nades play a massive role in this game. Not as much as in the actual Counter-Strike because of the touch controls, but they are still very important. And it’s not just the weapons and gear that you need to worry about, but also teamwork, strategic thinking, aiming, recoil control, economy, and crosshair placement. We do have a few complaints such as communication, the actual recoil patterns, and auto aim. But, we’ll get to that later on. The controls on Critical Ops aren’t half bad, to be honest. The only thing that’s a bit tough is getting used to aiming and shooting quickly because there is a bit of delay when aiming and you also need to look for the shoot button – unless you’re fully accustomized to your display that is. As for the core mechanics, they really don’t feel all that similar to Counter-Strike. Yes, we do have recoil patterns. And yes, there is moving inaccuracy. But, the movement controls are analog – it’s like you’re playing with a gamepad while using the analog stick. If you’re a seasoned CS player and wish to try Critical Ops just for the heck of it, then you may be thrown off by this. Then there are the recoil patterns. For most of the guns, it seems like all you need to do is slightly pull down and that’s it! You’re all set with recoil control. This may be something to balance the difficulty of playing the game because the touch screen controls are already making things difficult as they are. 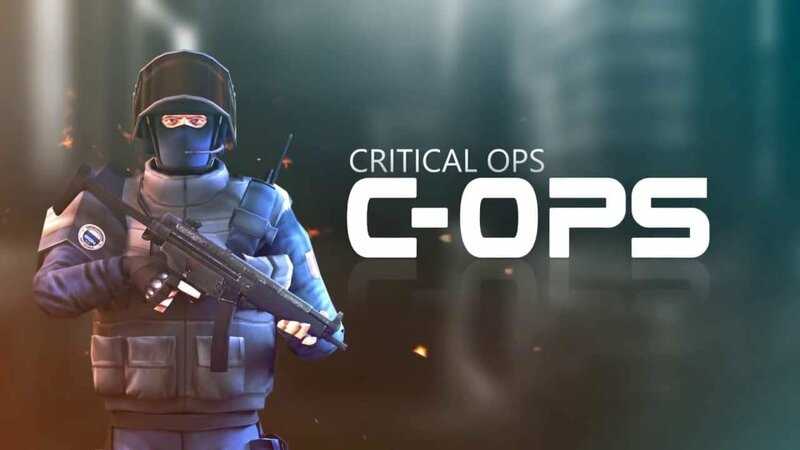 For experienced CS players, some of your skills from the actual game will transfer to Critical Ops as well. Such as crosshair placement, nade usage, economy management, teamwork, etc. In our opinion, the auto-aim feature is a huge no for competitive gaming. But, we’ll get to that later on. The graphics are nothing to write home about really. They are obviously better than what most battle royale games offer. But, that’s only because the maps and the actual size of the game are so small and don’t require the same amount of processing power. Other games like Dead Trigger are just far superior. But, that’s only about graphics. How about optimization? After all, this is a competitive game. Having your device restricting your maximum potential would most certainly be infuriating, to say the least. Well, we’ve got both good and bad news on that subject. The good news are that the game runs buttery smooth at 60 FPS or even 120 FPS if your phone supports it. If you’ve got a low-end or old device then you’ll probably have to stick with 30 FPS. The bad news is that there is a significant amount of input lag regardless of which device you’re using and that’s a bit of a deal breaker for competitive games. But, to be fair, it’s not the game’s fault. Until the actual hardware of smartphones gets improved and more optimized for games, then all we can do is deal with it. Oh, and while we’re at the subject, let’s make a small shootout to gaming developers. Please give us more games that run at 60 FPS. Most gamers don’t feel comfortable at 30. Thank you! Nowadays, when people hear about in-game purchases, they tend to freak out. Because they often involve pay to win game mechanics with them. But, this is one thing that Critical Ops does well and there’s nothing to fear with it. The in-game purchases only contain weapon skins and nothing else. That’s it! No special perks and abilities that you can’t get with the free version, no special overpowered characters, no nothing. Kudos to Critical Force for this. You can get cases for free. But, it takes a lot of grinding for that. If you wish to get the good stuff then you’ll obviously have to pay a little something. But, again, the purchases do not affect the actual gameplay. And that, for us, is a huge plus and something that all mobile games should follow. Even though we generally enjoy Critical Ops, there a few things that we didn’t like as well. First of all, this is a team-based game. Why is there no team voice chat? That makes it really hard to exchange information with your teammates in a short period of time and almost impossible to make any strategic plans. Secondly, the recoil patterns could be much better. As they are now, it’s kinda easy to spray and pray even with rifles. 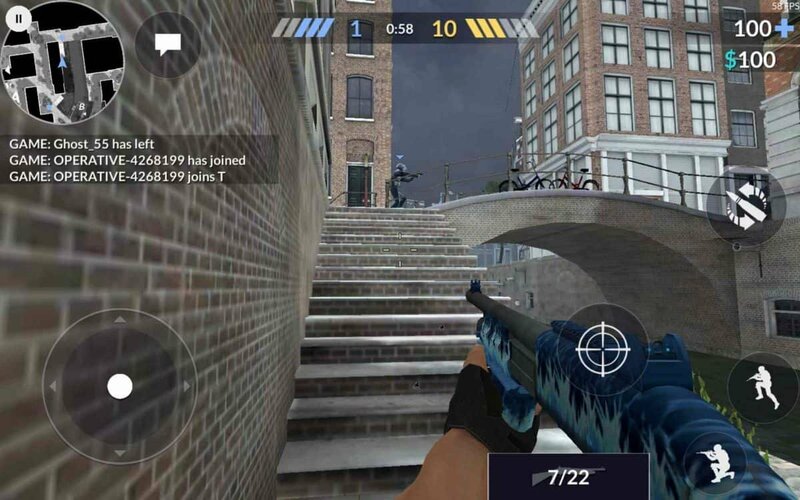 If you’re really trying to get the Counter-Strike experience to the mobile world, then you need to work on that. As for auto-aiming, this is a competitive/skill based game. When you add auto-aim you immediately reduce the skill ceiling and luck starts playing a slightly bigger role than it should be. We’re not saying to completely ditch auto-aim. Just, at least give us the option of playing a match where this “feature” is disabled by default for everyone. Last, but not least, the cheaters. 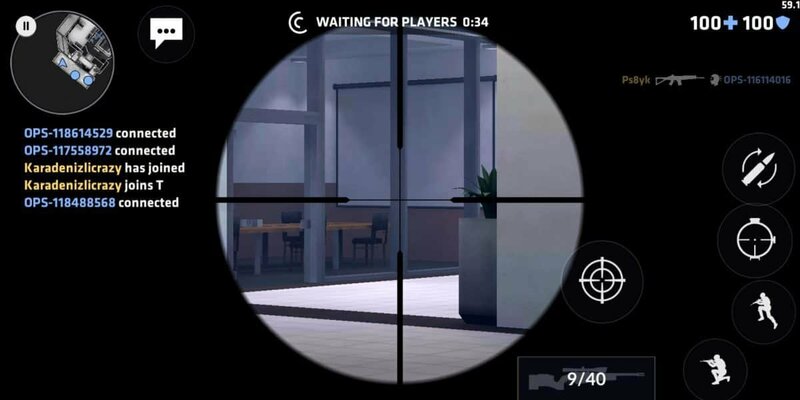 Cheaters are a huge issue in Counter-Strike and while they are not such a big deal in Critical Ops, you’ll still find a few every now and then. Overall, while Critical Ops still has a few minor issues, it’s a lot of fun to play and you can also play it competitively if you wish to do so. Just don’t take it too seriously cause remember, you’re still playing on a mobile and aiming with a touch-screen. If you’re into shooters and haven’t played it yet, then we definitely recommend checking it out! Feel like we got something wrong or forgot something important? Then let us and everyone else know about it in the comments section down below! Like what you see? Then don’t forget to follow us on Facebook and Twitter for the latest news, reviews, listicles, apps, games, how-to guides, and more!